My older son has a few puzzles that he can put together in a matter of minutes. 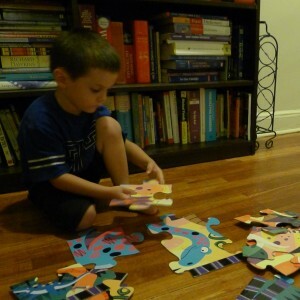 Nevertheless, often when he works with the puzzles, he pleads with me to help him out. “Mommmeeee, please help meeee. I can’t doooo it myself,” he says, or something similarly dramatic. For a long time I fretted about these pleas. What was going on? Why did he think he needed my help? Did he lack self-confidence? If so, why? As a nearly forty-year-old woman, I often find it challenging to identify and clearly express my true feelings and needs. Shouldn’t I expect that my not quite four-year-old son might often have similar trouble? When I find myself questioning the message that I’m hearing from him, shouldn’t I listen even more closely? What did it take for me to hear his true message? First, I had to clear my mind of the chatter of shoulds and oughts, letting go of such ideas as, He’s put this puzzle together a million times before, so he shouldn’t need any help with it. Second, I had to trust that some trial and error in interpreting his message would be OK. A mistaken interpretation of his words just might be a way toward finding the correct one. In this case, I settled down and worked on the puzzle with my son. Because the overt content of his message had been about his needing help, I decided to play around a bit and pretend to be an incompetent puzzle-assembler, gleefully putting pieces together that clearly didn’t go together. He laughed at me and showed me how to do it the right way. We had fun. And then we looked for another puzzle to work on together. 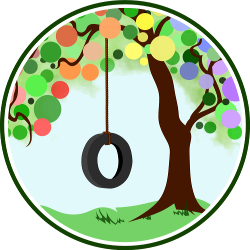 Many thanks to Dionna of Code Name: Mama for her post on gently responding to children who say “I can’t,” which inspired me to listen more closely. What inspires you to listen more closely?